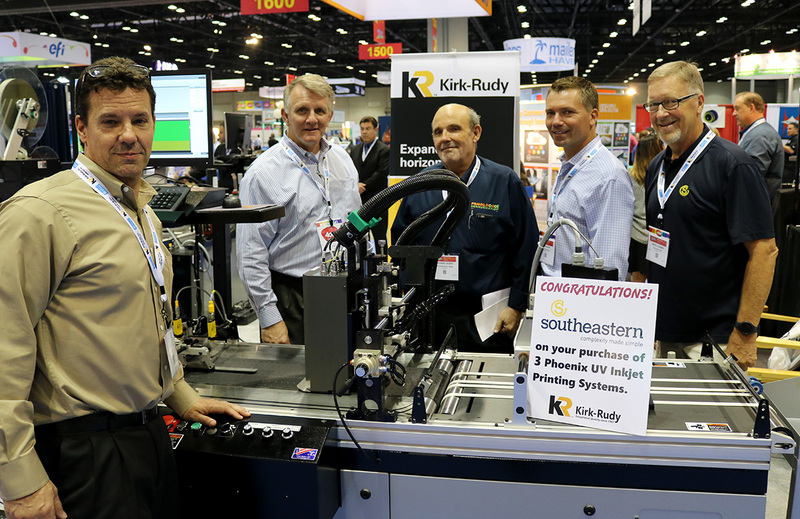 Management from Southeastern Printing, headquartered in Stuart, FL, stopped by Kirk-Rudy’s booth at Graph Expo to talk about their recent purchase of three Kirk-Rudy Phoenix UV inkjet systems. PICTURED ABOVE: Management from Southeastern Printing at Kirk-Rudy’s booth. L-R: Mark Kane, Kirk-Rudy’s Operations Manager, Chuck Gerardi, Southeastern Printing’s Director of Sales and Marketing; Richard Sierra, General Manager, Miami operation; Don Mader, CEO and Marc Loomer, General Manager Stuart operation. The Phoenix provides Southeastern with high speed addressing capabilities at speeds of 45,000+ pieces per hour. Utilizing ultra-violet (UV) ink technology, allows not only for faster speeds as the ink is “cured” immediately after it passes through the LED UV curing unit, but also the ability to print on almost any substrate with a high quality image. Their purchase of these new high speed systems replaces older technology equipment from another manufacturer. Two of the Phoenix systems are located in Miami and the other at the Stuart operation. “The Phoenix is amazing. It just keeps running and running. 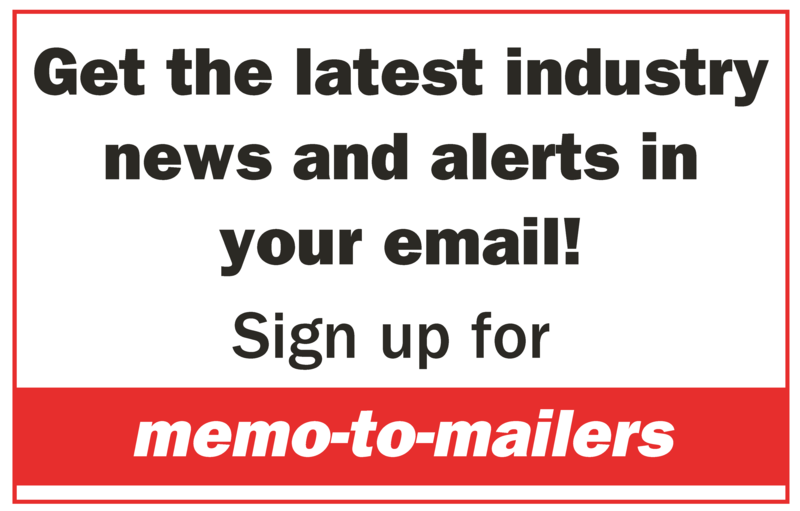 We’re about to explode with political mailing and we’re happy we have the Phoenix,” said Richard Sierra, General Manager at the Miami plant. Established in 1924, Southeastern Printing Company recently acquired Franklin Dodd Communications in Miami making it one of the nation’s largest commercial printing operations. Now fully equipped, they provide offset, digital, and wide format printing as well as mailing, storefront and fulfillment services.